As the only terraced castle in The Netherlands, Château Neercanne commands panoramic views across the Jeker Valley. It houses a network of Marl Caves that offer a unique and unconventional venue for large parties and celebratory gatherings. For more intimate business meetings, the salons offer a diversity of choice, all supported by a team who offer a bespoke service and the highest attention to detail. Renowned for its superb Michelin-starred à la carte Restaurant Château Neercanne and lunch restaurant, l’Auberge, awarded a Bib Gourmand, the castle provides the perfect setting for all business needs. Located in The Netherland’s most unique event venue, Carrière Poswick is a large, characterful space in the Marl Caves at Château Neercanne. The Orangerie is a cave room in the Marl Caves at Château Neercanne in Maastricht. Offering a fabulous setting for parties, banquets and receptions. Spacious and historic, Tsar Peter de Grote is Château Neercanne’s largest salon, providing an ideal setting for conference, receptions and private dining. The Baron van Dopff Room is one of Château Neercanne’s beautifully furnished private event spaces. Ideal for conferences, receptions and private dining. De Gulden is the Castle Tower of Château Neercanne. 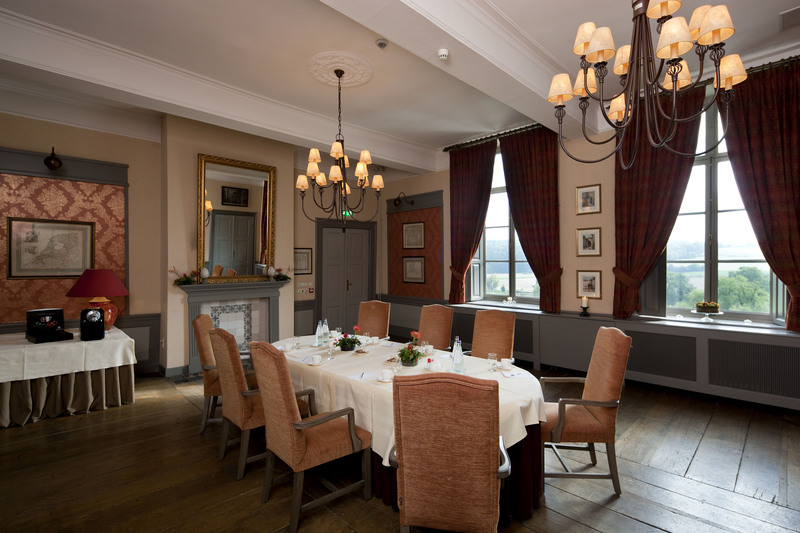 An intimate meeting or private dining venue for up to 8 guests in Maastricht. The Netherland’s most unique event venue, the Carrière Poswick and Orangerie spaces in the Marl Caves at Château Neercanne hold up to 1,000 guests. Ideal for large scale conferences and intimate weddings in Maastricht, Château Neercanne and its selection of unique event spaces can be hired on exclusive use.